In our fast pace world people have come to expect everything to happen rapidly. 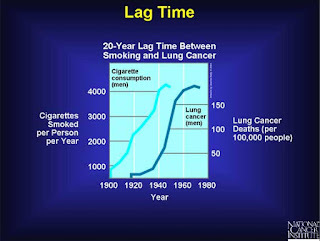 The truth is there is often a lag time between cause and effect. This means days, weeks, months, or even years may pass before we see how a certain event or policy has affected us. This lag time generally becomes evident to the masses only after it has hit the economy like a ton of bricks. One of the most glaring examples of this was the 2008 housing meltdown where it became obvious that the prices of homes was not a one way affair where a person could borrow, borrow, borrow, and expect to be bailed out by constantly rising prices. The element of lag-time should not be discounted. This is particularly true when it comes to economic policy. It is easy to underestimate how complex the interaction playing out across global markets add to and skew even the best intentions of policy makers. This means many variables are often out of their control. A factor that further muddies the water is the fact that hidden agendas lurk everywhere and that those making the decisions are not as honorable, smart, or as well intentioned as we would like. Many times people are given credit for the fruits of seeds they did not plant or the misdeeds of those before them. In short this is akin to the idea of who is left holding the bag when it breaks. As of late the media has been opining on the legacy of President Obama, the idea of a so called "legacy" I consider much overdone and often misleading. History has a way of being rewritten to suit the views of the person in charge of the narrative which means truth has a way of being discounted. 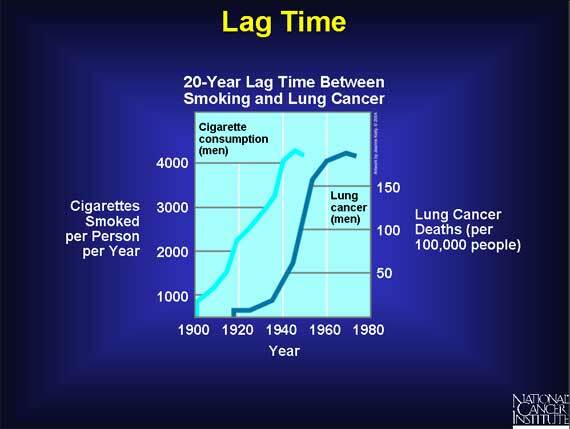 In our overly simplistic way of trying to understand events the lag-time effect should not be forgotten, today America is reaping the bad fortune of years of poor trade policy concocted years ago. Another example yet to play out is the ACA also known as Obamacare, this is only beginning to play out and it will be sometime before we feel the full negative effects of this program and the impact it has on society as a whole. 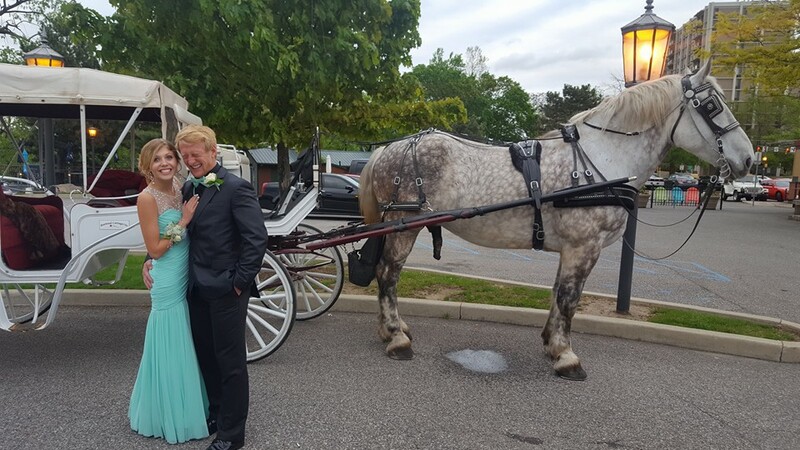 Even the ramifications from a massive expansion of student loans and sub-prime cars loans that currently drive auto sales will take years to truly experience. This lag-time also helps explain why bubbles form. The life and economic policy we have in place today will play out in unexpected ways over time. The calamity following the 2008 market meltdown did not generate the true market reforms many of us had hoped for. Today we find the too big to fail banks have grown even bigger and big business is crushing its smaller brethren because its easier for them to gain access to capital. This is very troubling because small businesses play a very special role in our economy and in creating valuable jobs. I deal with small business on a day to day basis and I will tell you they have little reason to be optimistic. This is why "Small business failures should receive a lot more attention then they do." If current policies continue we will see a lot more small businesses fail in the near future as people that have ventured down the path of starting a small business hit the wall. Small business is hard, going into business is risky, and many people are not up to the task. As a property owner that leases space to many start-ups I have a keen interest and knowledge of the microeconomics that occur. Just as important is the effect, long and short term on the economy. With most business start-ups having a very short lifespan of just months or around a year, the short term burst of spending is quickly followed by the longer term negatives. When a new business opens or is formed generally a fair amount of money is spent or invested, this often comes from the savings or loans from the owner, their family or close friends. This stimulates the general economy. Money spent on fixtures, leasehold improvements, services, and inventory help create jobs, but a dark side exists to this entrepreneurial adventure, when the business fails to achieve economic success a reverse affect radiates outward. Many times suppliers remain unpaid, landlords get stiffed, and inventory is dumped into the economy often below cost. This dumping, while good for those scooping up savings, can have a negative effect on other companies selling the same product. The bottom-line is society will feel the effects of small business failures for years to come. We are often reminded of the following words of wisdom attributed to the economist, John Maynard Keynes: The market can remain irrational longer than you can remain solvent. In some respect this is a reflection of the fact markets do not always lead a market, this plays out in both up and down markets where it is not uncommon for prices to overextend to an extreme until those who have misjudged a trend finally capitulate. 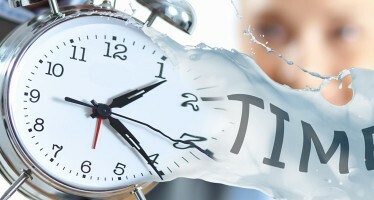 The point of this article is to highlight or shine a spotlight on the issue that what we see and are told today concerning the economy and markets do not reflect the lag-time effect, it is not all about today! Many issues that have been improperly handled over time will haunt us in future years as events unfold. 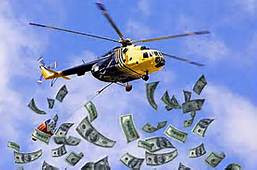 Helicopter Drops Of Money Have Been Proposed! A series of what would have at one time been considered outlandish ideas, such as a war on cash, forgiving debt through a debt jubilee, giving everyone a guaranteed income, and even injecting money into the economic system by dropping it from a helicopter have all found their way into conversations about ways to jump-start the economy. These might even seem as conflicting ways to move into an uncertain future but one thing is clear and that is all these ideas have seemed to steamroll over more conservative and time-proven methods of dealing with debt such as austerity. In economics, austerity refers to cutting spending usually by lowering and reducing the amounts of benefits and public services. Delving into all the above answers and solutions to our current economic problems I conclude they tend to offer and create the illusion of stability rather than sustainability. We have reached a bizarre place in our global economic situation where a few libertarians and some innovative thinkers on the left have even started talking about granting a "guaranteed income" to everyone as a possible solution to our economic and social woes. Advocates claim a guaranteed basic income would eliminate the need for multiple government agencies, as well as the expensive bureaucracies needed to manage them. They reason that all the added money in circulation would be spent providing a permanent boost and stimulus to the economy. As a bonus wages would compete with the guaranteed basic income and result in pushing salaries higher meaning artificial minimum wage laws could also be abolished. Last year, more proposals and opinions began to trickle in supporting a guaranteed income. Many people today argue that society and the economy have grown so productive that if society harnessed its power by halting self-destructive actions, such as war, the world could enjoy a level of prosperity never before experienced in the history of mankind. Throughout history, several famous and forward thinking figures have supported the idea that a guaranteed basic income to sustain people would be an important step in this direction. 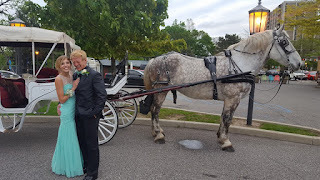 The liberal case is that it would eliminate poverty, the conservative case is that it would allow government to eliminate a huge number of programs put in place to support the massive underclass of people who live on the margins and have virtually nothing to subsist on. A few governments are actually experimenting with such policies at the same time more political parties and think tanks have begun endorsing it, surprisingly opposition has been mild. In Finland, a new conservative-led government announced plans recently to hand out a universal basic income of nearly $900 per month starting in 2017. The basic income payments would replace all other benefits, cutting administration and means-testing costs, and will be paid to everyone regardless of whether they have other sources of income. Opinion polls show 70% of Finns favor the idea, which will cost more than $50 billion a year. At one time the idea that the world owed you a living and that you deserved an income whether you worked or not would have seemed strange and foreign. Over the decades we have seen government stepping up and to feed and house the poor within their populations, even though some groups have come to see these people collectively pose a constant threat. A guaranteed basic income may be costly, but many see it as less costly than a hard leftist revolution bred in a growing number of super-slums, at the same time community leaders hope it will generate positive social and economic benefits. We all know about strange bedfellows and how some alliances defy general logic even extending to where they justify uniting those who diametrically oppose and despise each other under the "enemy of my enemy" theory, it is hard to deny some of these alliances are rather mind-boggling. The truth is so many people have become dependent on our current system that it has become almost a sin to shed light on the fact that debt loads are quickly overwhelming the system. 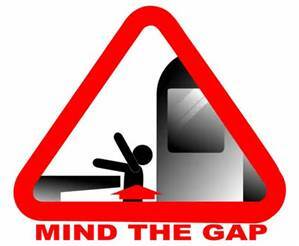 Visitors to London who travel across town constantly are reminded and warned to "mind the gap" which is a well known famous phrase that is repeated at the London Underground warning people using the subway to be wary of the potentially dangerous void between the train and the platform. I sometimes feel anyone looking at the stock market, the economy or any part of our financial system should be issued a similar warning worded as "mind the hype" because so much of what we read and hear is totally devoid of fact or spun to give the impression markets are far more stable and fairly valued than they really are. The newest ideas being rolled out to put us back on the straight and narrow are in a way their own warning. An example of just how delusional we have become as to the fragility of our financial system is that many people have taken comfort in the efforts to control the banking sector through legislation following the 2008 crisis. The Dodd-Frank Act of over 2,300 pages and still growing, is the longest and most complicated bill ever passed by the U.S. legislature. The 2010 Dodd-Frank law which was originally intended to rein in dangerous behavior in the banking sector was partially written by the very banks it is to control. In its preamble, Dodd-Frank states that it will “protect the American taxpayer by ending bailouts.” But it does this under Title II by imposing the losses of insolvent financial companies on their common and preferred stockholders, debt holders, and other unsecured creditors. This includes depositors which are the largest class of unsecured creditor of any bank. Once your money is deposited in the bank, it legally becomes the property of the bank. This means in a financial crisis the banks might decide not to repay depositors but instead, do a "bail-in" where depositors in giant too-big-to-fail failing banks could have their money confiscated and turned into equity shares. This could also be related and the main motivation behind what appears to be a push by those in power to turn us into a cashless society by increasingly imposing limits on cash transactions. By quietly eliminating the possibility of cash withdrawals, the central bank can make sure the deposits are there to be grabbed when disaster strikes. People are not keeping their money in the bank today for the minuscule interest they are paid, but rather for the convenience of writing checks, issuing bank cards, and storing their money in a “safe” place. They would no doubt be willing to pay a modest negative interest for that convenience; but if the fee gets too high, the incentive to pull their money out and spend it (thus driving the economy forward) is also a win-win for those seeking proof all is fine. Another rather strange idea gaining support, especially among those burdened with debt, is that creditors grant a debt jubilee. Those promoting this feel that creditors often share responsibility for loaning them the money that now weighs heavily upon them and it would be in the interest of society, in general, to wipe the slate clean and start fresh. An example of such an action is how the Allies expunged German debts that they knew could never be repaid after World War II so as to put the matter to rest. Advocates argue a “debt jubilee” similar to one mentioned in the Old Testament makes sense today. The issue of a jubilee year is a moral and religious concept, not an economic one, and was not actually practiced, still, it has been an inspiration to the modern debt jubilee movement. While they have dropped the religious context we still hear the political, economic, and sometimes a moral argument for extinguishing all or at least some of the debts the world is currently drowning in, those behind this movement seem to have forgotten that we already have bankruptcy laws to deal with oppressive debt. Truth be told none of the above are long-term solutions, they are smoke and mirror schemes to mock financial reality and postpone the day of reckoning. It is clear to this former disciple of socialism* that many of those celebrating after being granted a guaranteed income will soon return crying "it ain't enough". Questions abound as to how this income would be paid out, annually, monthly, weekly, or daily, but rest assured many of the poor would soon find they have pre-spent or taken on obligations that have overwhelmed or exceeded their promised income and find they must again seek help. The fact is many of the poor today are poor because they live in a bleak world where much of their current income flows to pay debts incurred in the past. A debt jubilee or even money dropped from the sky would soon be squandered and the short term benefits be left in the past, and so will any gains garnered from forcing people to spend their savings or having the banks rob them of their wealth. Part of the problem we face is the stock market has for decades been promoted and viewed as a wealth producer when it is more of a wealth transfer machine than anything else. The stock market recycles currency and wealth into paper promises. The truth is the stock market does not always go up and several other factors come into play when trying to decide whether an investor is really making a real return on their investment. The inflation rate and how the money will be taxed when stocks are again turned into currency is very important. Belief in the illusion that all is stable with not move the economy forward on a sound foundation. While it appears many people want to forget what we learned in Ponzi Scheme 101. I contend much of what we see is the "greater fool" theory playing out in all its glory. Has leverage really diminished? I think not. This means as pension funds fail and reveal their inability to fulfill the hefty promises they have made we can expect the uproar to grow deafening. Much of the debate of how solid the financial system is centers on and swings back around to the issue of whether debt and interest rates really matter, these two issues are the bedrock foundation of economic science. Financial stability is akin to a Ponzi scheme in that it is a belief based in fraud, a Ponzi Scheme is a fraudulent investment operation that pays returns to its investors from their own money or the money paid by subsequent investors and not from profits it earns. The Ponzi scheme usually entices new investors by offering higher returns than other investments. The perpetuation of the high returns requires an ever-increasing flow of money from new investors to keep the scheme going. The system is destined to collapse because the earnings, if any, are less than the payments to investors. All the proposed solutions mentioned above are dark alleys where danger lurks. The economy might in some ways be viewed as a giant pot of stew into which we often toss the strange ingredients that makeup and comprise the slew of recent conventional ideas. All this is done in the hope we will improve the taste. Sadly, it is clear we have reached the place where those in charge have said "recipe be damned and full speed ahead" we are throwing all caution to the wind. All these twists of our system from a war on cash, forgiving debt through a debt jubilee and giving everyone a guaranteed income share a similar theme. The same can be said of the idea of a one-time massive drop of monetary stimulus into the economic system referred to a helicopter drop or helicopter money. All are over the top solutions offered to resolve the problem of slow economic growth in a global economy mired in debt. These efforts should be considered not real solutions but desperate attempts to render the laws of economics moot and move us further into the false state of modern voodoo economics. * Footnote; My reference to being a "former disciple of socialism" comes from my experience during the salad days of my youth when I dabbled in the dark science of wealth transfer for the greater good. Having "felt the burn" as Bernie Sanders supporters might say, I completely understand the socialist argument. This has allowed me to see how flawed a system based on the hope people will take responsibility and step up to do the right thing really is. Both an increase in population, as well as the growth of electronic devices per-capita, has created a disposal issue that the world has yet to address. The quantity of e-waste being generated has been on the rise, the total amount of e-waste produced is expected to reach 50 million tons in 2018, nearly 50 percent more than in 2010. 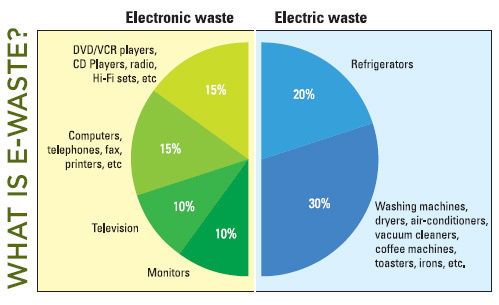 The discarded products collectively known as e-waste include cell phones, TVs, air conditioners, appliances, computers, and solar panels. The sad truth is most are not recycled. There are two interconnected aspects to this global problem: a lack of awareness among the general public for the need to recycle e-waste, and a scarcity of sustainable options to actually do so. It is apparent America's EPA cares little about stopping the source of future pollution yet is willing to spend billions on the back end trying to clean it up after it occurs. E-waste products contain heavy metals and when improperly disposed of they can leak toxins into the environment and water supply or into the air, in the case of incineration. 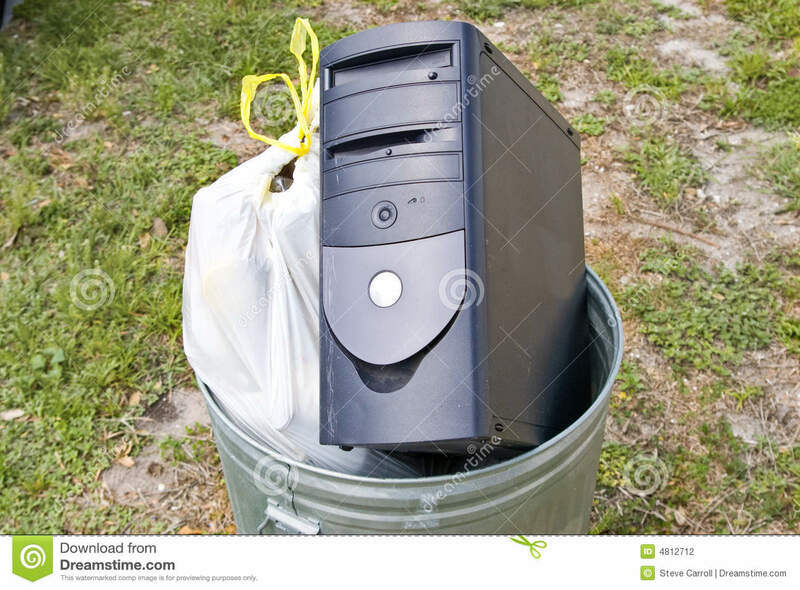 Ironically, it is often the laws that exist in countries like America that are designed to protect the environment that make it very difficult to legally breakdown and recycle e-waste items. In fact government rules as to how e-waste is handled, disposed of, and recycled add to and greatly limit the amount that is recycled. The government has made it so difficult to legally recycle these products within its so-called "safe" parameters that business steers clear of this market because of the massive liabilities. Because precise figures do not currently exist, we have no clear picture exactly where all these discarded items come to rest. Shipping records indicate West Africa is one of the regions harmed most by e-waste, shipping records indicate large quantities of e-waste from around the world are dumped there, often illegally. Shortsighted manufacturers, governments, and consumers have created and greatly added to the problem of properly dealing with e-waste. It is obvious much of this could be addressed by the EPA stepping in and passing a law protecting and directing recycling firms on how best to process obsolete units rather than insisting this problem be swept under a rug. Recycling these items in a good way, if it cannot be done in a perfect way, is far better than our current solution. Granted, there are also toxic materials including lead and mercury in e-waste, so much processing and refining are necessary to extract the useful elements. 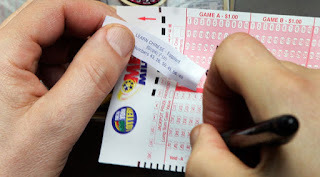 But in aggregate and individually, the prize is very appealing. 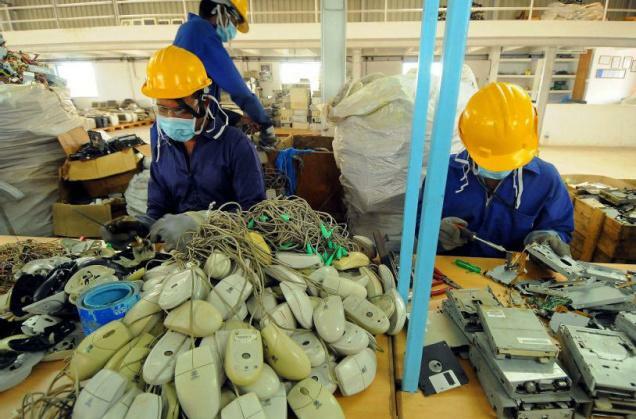 The report states that the gold content from e-waste in 2014 is roughly 300 tons, which represents 11% of the global gold production from mines in 2013. Still the fact remains that many people simply don't care how they dispose of their e-waste so they slip it into the trash sending it to a landfill even though it is illegal in many states. This means it might be wise to increase efforts to collect e-waste and form massive holding areas where it can be stored until better recycling technology becomes available. Footnote; I have over time written several articles on the subject of the environment and sustainability below is the link to one of the most popular. As usual your comments are welcome and encouraged. Coming Economic End Game May Be More Than Ugly! The coming end game is becoming more clear and when the markets succumb to the fact that current economic policies have failed all will collapse. Following this and I do mean following as by "several" months, central banks will be forced to unleash such a massive amount of new currency into the system to combat the scourge of deflation that it will stagger the mind. This will in effect clear the deck of deadwood through hyperinflation and pave the way forward to introduce a new or a "batch of new" currencies. Call it a "re-alignment" if you wish, but in reality, it will be the recognition that our path was an unsustainable illusion and that a new start will be deemed the best path out of the legal morass that contagion and collapse has rendered. The debts that are not written off will become a moot point in that most will be devalued and paid off in worthless paper. The important issue will not be fairness but how to get from here to there with the least damage to the institutions and wealth those in power seek to protect. Sooner or later all great Ponzi schemes must come to an end. We are but pawns in the giant game known as the global economy. 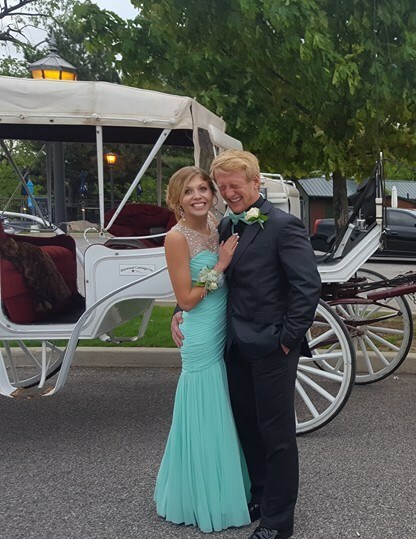 Please excuse the tone of this article, it is rooted in the idea that on occasion it is good to vent or say what is on our mind. Sometimes we have to simply concede things are what they are and find solace in the thought that things could be far worse. You can expect promises to be rewritten and broken. Rules will change as we go through the wash. Most people will see their assets rinsed away as society is put through the wringer. For example, expect the cost of living adjustment on social security to be modified reducing payments to the elderly. Adding to the woes of retirees is that many pensions will be forced to reduce payouts and break promises as the returns on their investment fail to meet expectations. Many of the guarantees and paper promises granted over the past decades will prove to be less valuable than the paper they are printed on. Recent revelations showing the Fed has been in collusion with Goldman Sachs and complicit in allowing them to do damn well as they please garnered little attention. The scheme to transfer wealth to the large banks is intact and most Americans know something is wrong but are too busy with their day to day existence to react. Eyebrows should be raised over the revolving door between large financial institutions and government that allows former employees with connections and strong ties to policies to flow freely back and forth between the two and the conflict it raises. It is not illogical to consider this growing wave of crony capitalism will soon sweep us off our feet. This is something that has inflicted pain upon people throughout history and closely related to what we know as government corruption. With big business increasingly exerting its power over small enterprises it is not surprising that many people feel trapped in a world where their options are rapidly vanishing. In many ways, those in control have paved over economic reality masking and covering a multitude of sins against the laws of supply and demand. It is impossible to deny this has also taken its toll on "true price discovery" that allows our economic system to adjust and properly function. As pawns in this game, we can either choose to sacrifice ourselves or fight. In this case fighting means to undertake a strategy that protects what we can of the life we have created within the power we have been granted. The fact you are reading and thinking about this subject puts you in a far better position than the masses who see before them blue skies and unicorns grazing upon a hill. As the global economy moves forward it is difficult to ignore that it is constructed on a weak foundation of imbalances, lies, and excesses. We only need to look towards China with its ghost cities and the fact its massive factories continue to crank out far more steel than is needed. Across the world debt has exploded as wages stagnate. Countries have borrowed against the future by running up huge deficits. Good jobs based on creating and doing a real task that can be economically justified are in short supply. The situation has become dire and the numbers do not work, borrowing money to merely pay the interest on past debt and NIRP is not a prescription that leads to economic nirvana and bliss. Make no mistake, we cannot and should not look for a white knight to come riding in to save the day, no such leader exists to lead us out of the economy hell we have created. Predictions of "lost decades" are not uncommon as we recover and struggle to find a path forward. Here in America, we have seen a field of over twenty presidential hopefuls weened down to three, and soon it will be two. Ironically, the system we have created now ask a majority of voters to cast their ballot for the candidate they "hate the least" or in more politically correct terms the "least of two evils". Adding to our woes is the constant reminder that even if we garner up the enthusiasm to go to the polls rather than disengaging from the process the poorly crafted electoral college will soon strip us of any illusion that all votes are created equal. In the end, a few voters in some "battleground" state will make the final decision as to our fate. Footnote; Again I would like to apologize for the tone of this post. If it seems out of sorts my only defense is after a long hard week sometimes we find we have had more than enough. Seriously, when transgender restrooms become a major issue in our political discourse we are reaching the outer-limits or twilight zone of reasonable concerns and substance. Footnote #2; Some people have been calling for a "world currency" for years. the saying "one should never let a good crisis go to waste" means that a meltdown with high levels of fear would present a perfect opportunity and catalyst to advance this agenda down the field. Remember many people have a lot to gain when a major shift in the currency markets takes place. More on this subject in the article below. Footnote#3; I would like to share the following picture forwarded to me of young love showing a couple standing in front of the carriage about to take them to the prom. Love is a beautiful thing, however, no amount of planning can prevent reality from casting a dark shadow upon any event. Trumps Understands Money And Debt! Presidential candidate Donald Trump's recent statements concerning how he views debt should strike terror into the hearts of lenders and bond buyers everywhere. Sadly, what really puts some kick behind his statements is his blatant honesty and that he is simply speaking the truth. Repayment of dept is a promise and promises are not always carried out in good faith. Trump is not a banker, but he understands money. I contend that like many people whose business is rooted in real estate he understands both money and debt in a different way, a way that is far more related to long term value than those on Wall Street or in Washington can conceive. The self-proclaimed “king of debt” told CNBC that if elected president, he would push to borrow more under today’s low interest rates. And if times got tough, he said, he would use his business acumen to strike a deal with the nation’s creditors for something less than full payment. Trump said, "I would borrow, knowing that if the economy crashed, you could make a deal,” he said. “And if the economy was good, it was good. So, therefore, you can’t lose.” In truth Trump’s politically incorrect comments only lay bare the fact that America's debt and that of countries around the globe are a major issue and very relevant. Immediately those in the media and political foes jumped in to question whether a maneuver to buy back debt at a discount would be constitutional. The 14th Amendment to the U.S. Constitution makes explicit that the United States has a commitment to paying back its debt that is rock solid. “The validity of the public debt of the United States ... shall not be questioned,” the amendment clearly states. If Trump is proposing a course that is unconstitutional and thus illegal they quickly banded together to contend this is proof Trump has no place or business as America's president. Trump was merely trying to convey a tool many people in the business community and in banking understand when he stated the following, "I said if we can buy back government debt as a discount — in other words, if interest rates go up and we can buy bonds back as a discount — if we are liquid enough as a country we should do that. 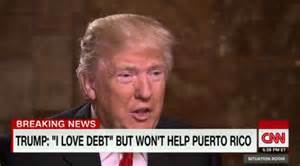 In other words, we can buy back debt as a discount," Trump said on CNN. Trump said his plan would center on buying back debt if interest rates went up. 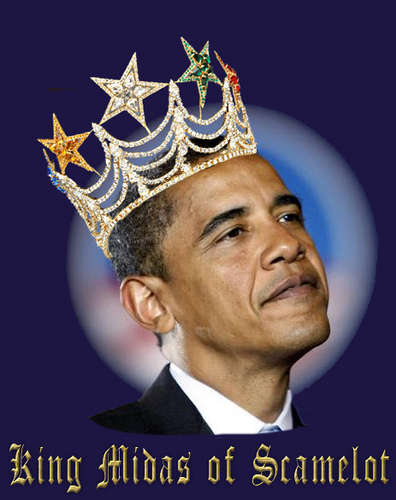 The self-described "king of debt" said debt is "tricky" and can be "dangerous." He went on to say, "I know how to deal with debt very well — I love debt — but, you know, debt is tricky, and it's dangerous, and you have to be careful, and you have to know what you're doing,"
Adding to this confusion and the media circus are statements Donald Trump later made on CNN's "New Day." where he said, "People said I want to go and buy debt and default on debt — these people are crazy. This is the United States government. First of all, you never have to default because you print the money, I hate to tell you, OK? So there's never a default." The presumptive Republican presidential nominee echoed that sentiment during an interview on Fox Business, saying, "A lot of the papers said, 'Donald Trump wants to go and start negotiating with creditors.' First of all, you don't have to think about this, but we print the money." This again is proof that Donald Trump gets it. Obama The Real King Of Debt! Several reasons exist as to why Trump's rhetoric has caused such a ruckus. One possibility is the title "king of Debt" has already been taken by our current president and that he has no intention of giving it up without a fight. 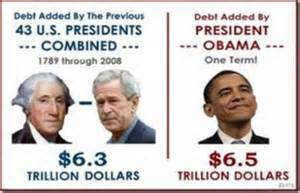 During the last eight years America has seen its debt grow leaps and bounds. Our whole so called "recovery" has been built on an unsustainable foundation of government spending. When we add $100 billion to the federal deficit it represents or equals $300 per person or $1,020 of debt for every family in America. Unfortunately, we are talking four, five, or six times this amount each year. Recently we saw several years where the deficits far exceeded one trillion dollars. One trillion dollars is ten times the $100 billion multiplied out above. That would represent a staggering $3,000 per person and $10,200 per family. Again we must remember nearly half of households not pay taxes, and if they don't someone else must pay their share for them. Trump has since pushed back on coverage of his remarks from outlets including The New York Times, which reported that Trump was suggesting he might reduce the national debt by persuading creditors to accept less than full payment. The New York Times wrote, “Such remarks by a major presidential candidate have no modern precedent.” That may be true, but it is also true that Trump is not your average modern day presidential candidate and is not operating under the constraints of past election protocol and rules. While many people choose to keep their head in the sand and deny the role currencies and debt play in the world economy I suspect that Trump understands economic reality far better than many of those currently in charge of the system. Footnote; Debt plays a massive role in our economy, the articles linked below explore this to a much greater degree. 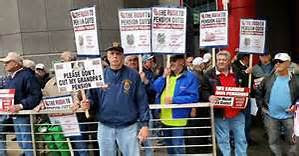 Pension Benefits Will Be Cut! Five months before national elections, more than 100 members of Congress lined up in opposition to a proposal that would have reduced monthly benefits currently being paid to pensioners by 22%. This is "on average", some retirees could be hit with up to a 70% reduction. If Americans took the time to stand back and look at the bigger picture they will see the Pension Benefit Guaranty Corporation (PBGC) an independent agency of the United States government responsible for acting as the nation’s "safety net" for failed pensions is also in trouble. When a fund fails this agency is expected to take control of its assets and dole them out to its pensioners in the coming years. The ugly truth is the PBGC is not a rock and is in need of its own bailout. This so-called government agency "independent or not" has total assets of about $88 billion and liabilities of $164 billion. 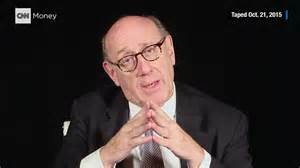 Kenneth Feinberg Rejects Cuts, Now What? In regard to the Central States Pension Fund and its application to slash benefits, Treasury Department Special Master, Kenneth Feinberg delivered a very harsh rebuke. This was welcomed and greeted with relief by 270,000 U.S. households that faced drastic reductions in their living standards starting in July if the retirement plan’s application to slash benefits is accepted. The $16.1 billion Central States Pension Fund is teetering but has not yet collapsed. The fact that even during its best years the fund draws down its capital is a clear sign that it and many other pension funds will be unable to fulfill the promises they have made. Feinberg also criticized the massive 8,000 page Central States application for failing to meet the law’s requirement that it “be written so as to be understood by the average person participating in the fund. He pointed to one 98-word sentence that includes four critical terms, the definitions of which are not contained in the notices, but rather in cross-referenced documents that are not attached. One point Feinberg makes clear is that few union employees can be expected to have the legal, accounting and actuarial resources the pension plan’s administrators did in drafting the document. Ironically, one of Feinberg’s own sentences amounted to a 110-word lecture. A serious matter remains, however, after those unhappy with the Central States Pension Fund have voiced their opposition to cutting benefits and facing reality, the fact is the pension fund simply does not have enough money. While it could be said that several ways exist to cheat or rob those who paid into pensions for years it would be an understatement, more ways exist than you could imagine. One reader on another site compared pensions to a Ponzi scheme where benefits are paid out to its investors from new capital paid to the operators by new investors, rather than from profit earned through legitimate sources. I fear the future will prove him mostly right. We are only beginning to see the tip of the iceberg when it comes to this growing problem and just how many of these schemes are underfunded. It should be noted this is not a problem only in America, but it exists all over the world. Remember the PBGC, America's safety net for failed pensions has total assets of about $88 billion and liabilities of $164 billion, this is an indication of how dire the situation is. Footnote; A prior article dealing with the issue of underfunded pension funds can be found below. 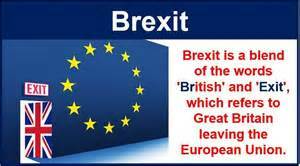 Britain faces an important decision as to whether it is time to "Brexit" from the European Union. Recently British Prime Minister, David Cameron won unanimous support from the European Union for concessions he sought from the bloc ahead of a referendum on Britain's continued membership in the group. Just a year ago the idea of Britain departing from the 28-nation alliance seemed remote. Now the odds have shifted with recent surveys showing things a bit up in the air. Britain's prime minister, David Cameron has set June 23rd as the date for a referendum. A key issue for many watching as the vote grows near is whether a Brexit would also make the UK more vulnerable to its own breakup. Another issue concerning a Brexit is that it could cause a sharp and possibly destabilizing move in the currency markets. BOJ officials are concerned such a move might cause money to be shifted out of both the pound and euro looking for a safe haven refuge in the yen. The yen only accounts for around 4% of official foreign exchange reserves, this constitutes a rather small float thus, any move out of these two currencies could cause the yen to strengthen which would compound Japan's economic problems by choking its export driven economy. It would also setback the BOJ's goal to generate 2% inflation and end decades of deflation. While I question the logic of wealth flowing from one troubled currency into another, concerns like these only underline how intertwined the world financial situation has become. The fact that a difficult renegotiation of the current conditions of Britain’s membership at a summit in Brussels speaks volumes and sends a signal that Britain's continued membership is not a slam dunk. This is only one of the several headwinds that threaten the very existence of the Euro-zone which appears totally dysfunctional and unable to address many social and economic problems that confront it. Polls show the British public is closely divided on the issue. Ironically, as we often see in the case of a bad marriage the area is bound together more out of the fear of what will happen if it dissolves rather than because the relationship is working well. In truth many Euro-zone members find those living in their home country have become disenchanted with the EU and its actions in recent years. The forthcoming referendum has prompted government ministers to declare their backing for either the “remain” or “leave” campaigns. Mr. Cameron strongly believes in the benefits of continued EU membership, but other high-profile MPs, including Justice Secretary, Michael Gove, and London's Mayor Boris Johnson, have pledged support for the “out” campaigners. Today largely because of Europe’s migration crisis and the interminable euro mess, the polls have narrowed. Some recent surveys even find a majority of Britons wanting to leave prompting American President Obama to weigh in on the issue. During a recent three day trip to London Obama urged Britain to remain in the union. Mr. Cameron is himself partly responsible for this issue having risen to this level. Although he has repeatedly urged his party to stop “banging on about Europe” many of his political cohorts are scared witless by the rise of Nigel Farage’s virulently anti-Euro-zone UK Independence Party (UKIP). As a result they have been relentless in hassling him to adopt a tougher line with Brussels. Years ago in an effort to appease this group he threw them the 2011 European Union Act, which requires any EU-wide treaty that passes substantive new powers to Brussels to be put to a British referendum. That sounded like a big concession, but no new treaties were then in prospect. In January 2013, Mr Cameron promised that, if the Tories were re-elected in May 2015, he would renegotiate Britain’s membership and hold an in-out referendum by the end of 2017. As the vote grows near, BOE policy makers have said uncertainty is already weighing on the economy and that a vote to leave would prolong and deepen the impact. While many of the economic impacts of Brexit are unknown, jitters are already being felt both in the currency markets and by companies putting plans on hold while they await clarification as to Britain's direction. Where this could get even more dicey is that any change in the current "world order" might embolden a slew of independence movements such as what we saw not long ago in Scotland. 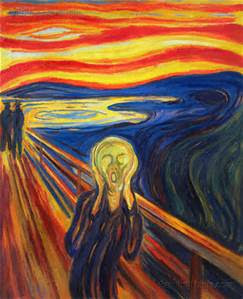 Portugal, Ireland, Greece, Italy and Spain have discovered that you cannot have full independence and share a currency. If the voters decide to break this tie will Wales and Northern Ireland move towards independence? If so, that might encourage similar movements in Catalonia, Belgium, Northern League in Italy, Basques, Cornish, and among the Poles. All this could take the Euro-zone down the road to a great deal of internal civil strife. Evictions In America, The Plight Of The Poor? I have found the reason many people are evicted is because they do not follow the rules. This often means they become ineligible for government housing programs. By making them "ineligible" for certain programs the government shrewdly and cleverly sidesteps having to deal with these people. The brutal truth is that government housing cherry-picks the best of the low-income renters providing them with very low rents and nice apartments. Anyone that does not tow the line is not accepted or removed from the programs. Sometimes these apartments are very nice, this can mean a low-income individual might move into a brand new unit with all new carpet and appliances including washers and dryers. Moving into a house such as this is something many working Americans never get to enjoy. What many people fail to consider is this pushes the undesirables off onto the private sector. The truth is such Government housing policies in effect shift the burden of societies most dysfunctional away from their doorstep sidestepping this massive responsibility. The Newshour showed how often entire families were tossed out on to the street and their belongings placed by the curb to be hauled away as trash. What it failed to focus on was how many times this was a result of their own making, by this I mean continuous failure to pay rent, breaking the rules they had agreed to, or damaging the property. The piece also failed to spotlight the fact that when a landlord agrees to lease an apartment or house they can not fully factor in or add the high cost placed upon them of going through the eviction process. 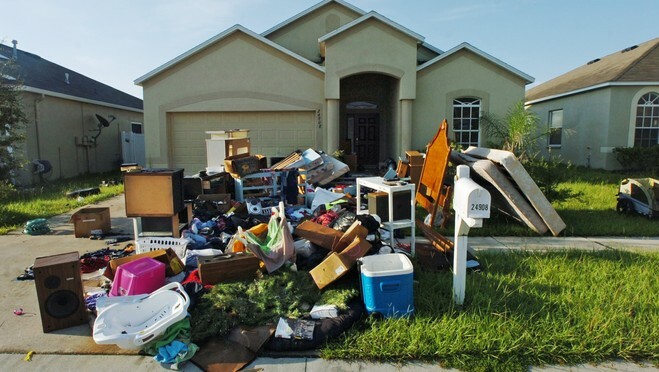 In addition to court cost where they are given a judgement that they cannot collect because the evicted tenant has no money, landlords often have to pay to cart abandoned belongings to the curb or have them hauled away before the expensive task of cleaning and prepping the unit for lease. I have found several interesting traits common to those comprising what PBS describes as a "near homeless" population. Some of them were displayed by a family recently evicted from my apartment complex. When the tenant who was behind in paying her rent called because she had no hot water maintenance arrived the same day to replace the defective thermostat. The workers, however, discovered several disturbing problems, the apartment was filthy and a disgusting mess. There was no door on the bathroom, the door had been broken down and was totally removed (half of it had been placed in the water heater closet). She claimed it was because she passed out in the bathroom and they needed to reach her, but the "bathroom-bedroom style" lock did have a feature that allowed it to be unlocked from outside with a small tool. Damages From A Bad Tenant Can Exceed All Expectations! In addition to the problems just mentioned the new garbage disposal was plugged and the stove covered with junk, the oven was also full of old pizza boxes. It seemed this resident and her daughter with young babies did not cook but lived off fresh "daily" pizza deliveries. It seems to me a less expensive alternative for a pizza lover behind on their rent might have been a stack of frozen pizzas bought on sale. As repairs were made the unemployed daughter played on her smart phone ignoring her little one crying for attention while her boyfriend napped. I forgot to mention "the boyfriend" was another bone of contention because he was not a resident but had moved in with them. This woman had been notified several times he could not live with them according to the lease. Rather than just showing the dire situations of those evicted the bigger issue is what society should do with these often dysfunctional people. Where they go next, the damage they leave in their wake are important issues. In this instance, these people moved into a newly remodeled apartment at a complex recently purchased by an out of town group that never called for a reference, and most likely did not run a credit check. These are mistakes that they will soon regret if the long list of damage our inspection revealed after we regained possession of the apartment. Anyone faced with the cost of replacing broken doors and jambs as well as cleaning up such a mess will confirm it is both time consuming and costly. The unintended consequences of government policy that sidesteps responsibility for the dysfunctional poor only add to America's housing woes. The inability of society to protect the rights of landlords has driven many providers of housing from the market. Getting someone evicted is neither fast or inexpensive and in my state courts lean over backward to give those evicted more than ample time to retrieve their belongings if they fail to vacate when told and the sheriff has to come to the site and order them from the property. 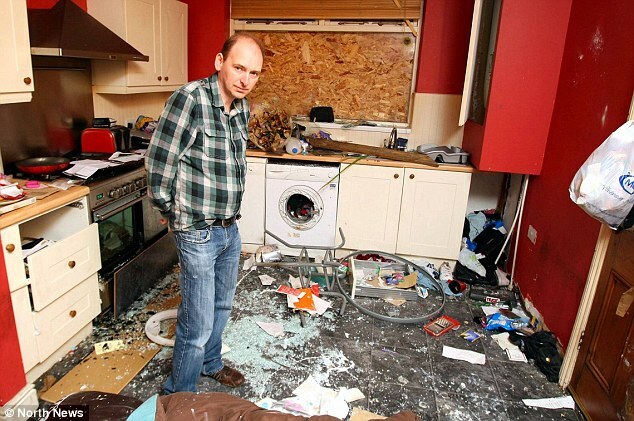 Those naive and think being a landlord is an easy way to make money will be quickly disenchanted when they face the reality of seeing their property destroyed by a nightmare tenant. Government intervention that provides low-cost housing to low income families that "follow the rules" forcing and dumping all others back on to the private sector raises the cost of rental housing for all the other citizens who need or use it. Footnote; My property manager just told me a story that caused me to ponder just how much society has changed over recent years. While attending the second phase of an eviction hearing yesterday an older couple asked her if she represented the landlord then told how their two rentals, something they planned for and viewed as a way to help them through retirement by producing a little income had become an albatross around their necks. Sitting there holding a stack of pictures showing the damage caused by a tenant they were visibly shaken. They said that dealing with renters was ruining their lives and they would do anything to just get out of the business. Sadly many landlords still owe on their properties and cannot just walk away.